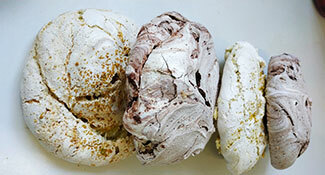 Meringues are the perfect chometz-free dessert. This year, make yours extra indulgent with the addition of pistachio paste or chocolate. 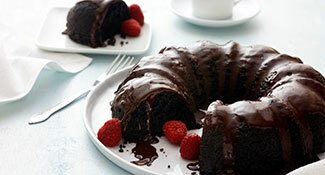 Paula Shoyer's new lemon version joins her original chocolate quinoa Bundt cake as the must-bake dessert of Passover. 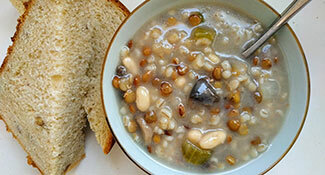 Inspired by iconic Manischewitz soup packets, this hearty barley stew—in either its meat or vegetarian form—will help battle the winter blues. 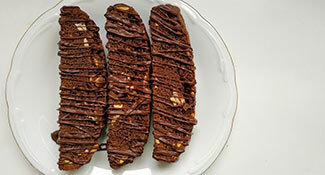 The rich almond flavor of these biscotti—a cookie that originated in Roman times—lends a not-so-subtle nod to their Jewish cousins, mandelbrot. 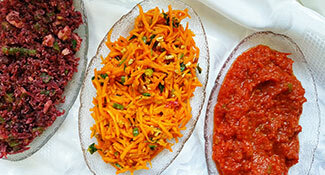 An array of salads composed of carrots, raw beets, slow-cooked canned tomatoes, toasted nuts, dried fruit and red quinoa. 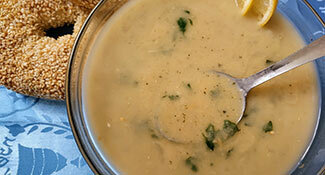 Lentils are paired with herbs, creamy potato and zingy lemon, making the finished soup rich and surprisingly meaty in taste. 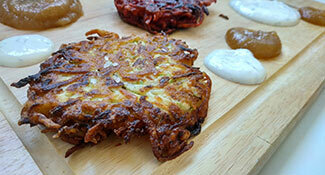 Shredded vegetable latkes: sweet potato, zucchini or beet potato pancakes topped with cinnamon-ginger applesauce or horseradish-dill sour cream. 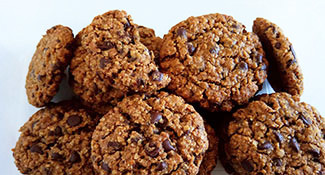 Yes, chocolate chip cookies can be part of a healthier eating regimen, thanks to whole wheat flour and oats.